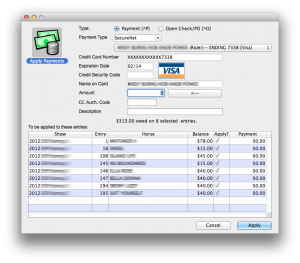 Data Entry – We keep it fast! We’re like you, we hate monotonous data entry, who doesn’t? So wherever we find tasks that are difficult for you to do, we find ways to make it faster, better, more efficient. Check out this small list of tools our customers use every day to get things done quickly. Keeping the Show Entry process fast is number one. Here are just a few things to make putting in entries fast! 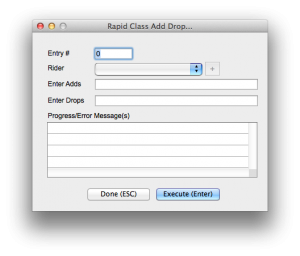 Adding classes and removing classes from entries is traditionally a task that many offices spend a lot of time doing. We simplify this in several ways. Instantly distribute one or many fees amongst a group of entries. 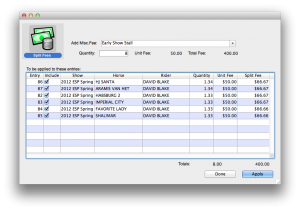 Trainer splits lets you transfer balances or individual fees from a trainer/barn account to that trainer’s other entries. 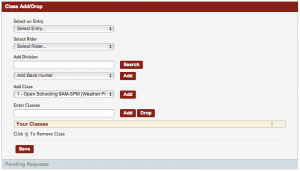 The show series feature lets you maintain entry numbers across a series of shows and even replicate entries or groups of entries through a series of shows. It’s powerful stuff.